It is quite annoying when you try to login to your router admin page and forget your username and password. At times, you need to reset your device to erase the current settings and start afresh. Whatever your reason may be you need to know how to reset a router to factory default settings. Enter the default IP address of your router in any web browser. You will be asked to enter the default username and password. Once you enter the site, you need to go to the Administration page of the router. Here, look for Factory Default tab and click on Restore Factory Default. 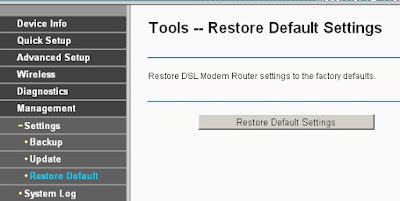 Once you click on Restore Factory Default, your router will be reset to its default settings. In case you cannot remember you login password or username, the only option you have is to reset your router device. When you reset the device, you lose all your settings and they are reset to factory default. In order to reset the device, you need to take a thin pin or pen and push the tiny button on the device. It will be located in the back near the Ethernet port or the power plug. Press and hold the button for about 10 seconds. You will find the Power LED button blink while you press the Reset button. After you release the button, your router will be reset to factory default. It is important to change the Wi-Fi network password after you reset your router to factory default. On the router admin page, go to the Settings page and look for Management section or Security tab. Here, enter a new Wi-Fi password and save the network. Change the name of your Wi-Fi network as well as you don’t want hackers to identify your router and hack into your system. 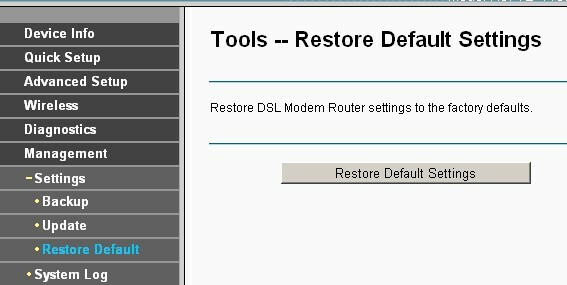 This is all you need to know about how to reset a router to factory default settings. It is quite simple to carry out, especially if you don’t have any other option to reach your router admin page.